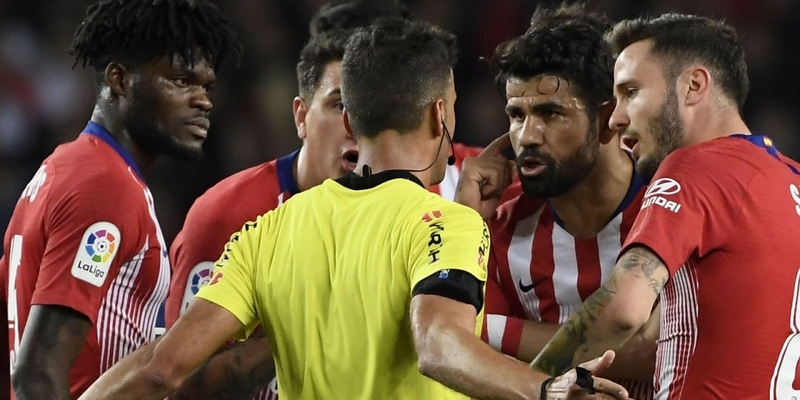 Atlético Madrid striker Diego Costa has received an eight-match ban for insulting referee Jesus Gil Manzano’s mother during the 2-0 loss to Barcelona last weekend. The 30-year-old was shown a straight red card in the 28th minute and had to be ushered from the field by Gerard Pique after initially refusing to walk. Manzano said in his match report that Costa grabbed his arm and used a Spanish phrase that referred to defecating on his “prostitute mother”. The Spanish Football Federation met on Wednesday and determined that Costa must sit out eight La Liga fixtures. The suspension means the former Chelsea player will miss the rest of the season.